The decision was made on Wednesday morning to close the office on Thursday and Friday to allow the staff to prepare for the onslaught of Hurricane Ike, which was at that time, making a path straight to Corpus Christi. Bruce had spend much of the day on Wednesday preparing Elan and helping the neighbors take canvas and sails off of their boats and making sure all were tied to weather the storm as best they could. Thursday morning dawned calm and bright. It seemed the perfect time to catch up on some household chores that had been put off. 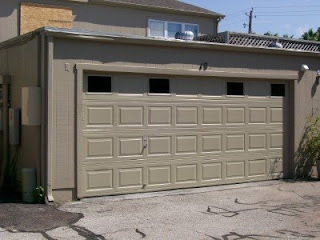 I spent the morning hours painting the new garage door we had installed a month ago to match those of the rest of our townhouse complex. 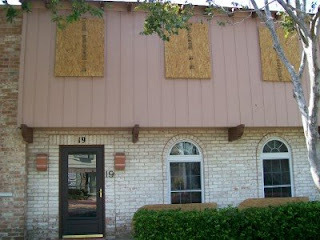 Bruce got out the window boards and prepared to nail them up for the storm. When I was done with the painting I climbed up onto the garage roof to help him with those windows in the back of our townhouse. The grounds keepers did the ones in the front that we couldn’t reach and we left the downstairs windows to be done should it become necessary as the storm progresses. Throughout the day we heard reports that it was and would continue to track towards the north and it seemed that we were now out of harm’s way. 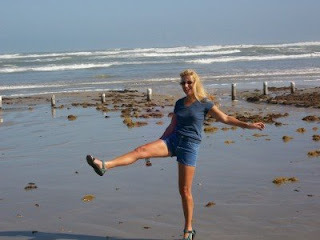 Once the chores were done, Bruce and I took off to see what was going on out in Port Aransas. We stopped at the boat and found that the marina was an absolute ghost town. Many of the big power boats had been removed…the slips were bare. I guess all of the preparations had been made the previous day and the boats were now left to make it or not. 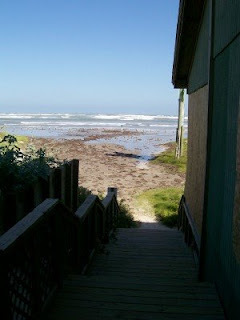 We went down to the beach bar and found it boarded up and the water making it’s way to the very doorstep. Bruce and I had brought along some refreshments just in case we couldn’t find any place open for business. 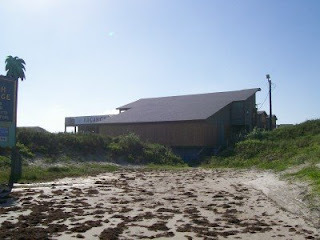 Much of Port Aransas was already boarded up and quiet. 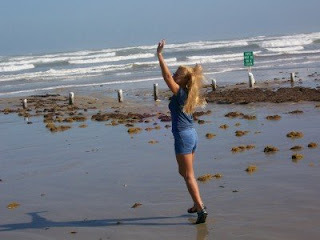 We spent some time playing around on the soggy beach. There were few people around. The surf up...... but not greatly so. We sat on the steps of the beach bar and wondered what it would be like to be living out on the boat in a big storm. 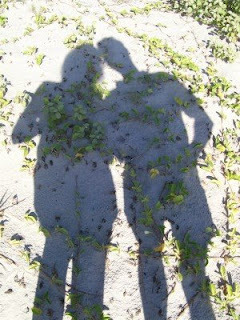 Hunger finally drove us onward. 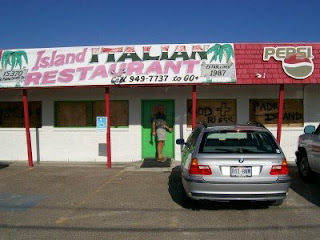 We found the Island Italian Restaurant boarded up but open for business. We had a nice dinner of salad and lasagna…always a good choice. 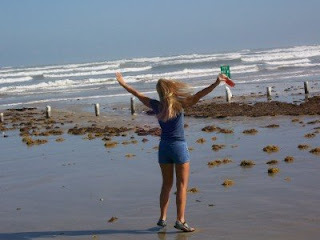 And so ended our adventures for day one of hurricane Ike.